4.2 out of 5 based on 18 bloggers and 1 commenters. 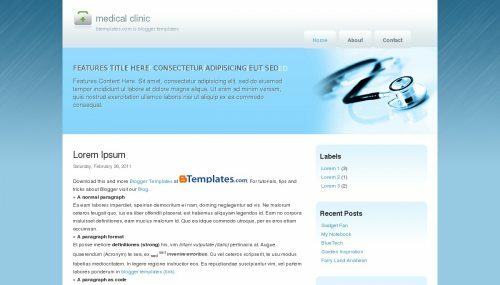 Medical Clinic is a free blogger template with 2 columns, right sidebar and rounded corners. thanks a lot ! wow i love it thanks.